Ignatius of Loyola was born in 1491 in present day Gipuzkoa, Basque Country, Spain. Loyola who was a member of Los Alumbrados also adopted a military career in 1517 fighting for the Duke of Najera (Viceroy of Navarre) and was badly wounded in the siege of Pampeluna when a cannon shot one of his legs and wounded the other leg. Loyola had to have his leg reset without Anesthesia, and instead of healing it became worse, eventually his leg healed and he was out of danger, but one leg was shorter than the other as a result of his injuries. Loyola ordered his Surgeon to cut off parts of his bone and to systematically stretch his leg which was a very painful procedure all for the vain purpose of wearing the boots that were in fashion at the time, and to return to being the "Handsome Courtier and Soldier" he once was. While recovering from his wounds Loyola became bored and sought to entertain himself by reading tales about Chivalry (to fuel his fantasies of returning to his former glory of being a soldier), but as there where no books on Chivalry, he was brought Religious books that were the only books available at his Castle where he was recovering. Loyola submersed himself into religious Catholic lecture, and during this time he claimed to have had a "Fantastic Spiritual Transformation" and came to a conclusion that his Church just like any State needed an Army. In 1522 Loyola wrote his Spiritual Excersises which are nothing more than Visualizations, Contemplations and Mental Exercises very similar to the Meditations of Eastern Mysticism and Gnosticism. In 1527 Loyola was being investigated by the Catholic Church for his connections to Los Alumbrados. The Spanish Inquisition led by the Dominicans brought Loyola in for questioning him about his secret activities with Los Alumbrados. When he was brought to trial by the Inquisitors, Loyola requested an audit with Pope Paul III (Alessandro Farnese) who was a member of the Farnese Bloodline an Ancient Roman Papal Dynasty which is part of the Black Nobility. Loyola was granted the audit because of his influence, there he informed Alessandro Farnese that he was raising a Militia to defend the Papacy and supplied copies of his constitution to Farnese, which would lead to Absolute control of Military and Politics, and Absolute control of a One World Church. Loyola was completely absolved by the Inquisitors with only 1 admonition, had it not been for his influence and his intentions which seem to have been commisioned by Pope Paul III himself to destroy the Reformation and all oppostion to the Catholic church at the time, Loyola would have undoubtfully been Tortured and forced to make a False Confession as the Inquisition did with Non-Catholics, Christians and suspected Witches (Loyola was a real Gnostic one). In 1534 Ignatius along with 6 of his friends founded the Jesuit Order, among the 6 was Francis Borgia (illegitimate son of King Ferdinand of Aragon and Great Grandson of Pope Alexander VI) the man who with the gold from the Genocidal Conquests of the New World financed the Jesuit Order. Pope Paul III (Farnese) declared Loyola untouchable and gave him authority to carry out his own orders which were to destroy any opposition to the pope or the Catholic Church, Instigate Wars, and Murder anyone who got in their way. Eventually Los Alumbrados developed into The Society of Jesus, The Army Of The Vatican. When Francis Borgia (co-founder of the Jesuit Order) became Jesuit General he strenghtened the substantial powers of the Jesuit Generals by way of Assasinations and Conspiracies, the Black Pope (Jesuit General) had equal if not more power than the Pope himself and could now engage in Commerce and Banking, a right which had not been granted to any order but the Knight Templars hundreds of years earlier. After Los Alumbrados developed into the Jesuit Order many secret societies of Illuminati developed in other regions, in 1623 Los Alumbrados reached France and where known as Les Illuminés. In Northern Arabia a group called The Rawshaniyya sought "Illumination" from a supreme being who wanted a class of perfect men and women. once the Rawshaniyya reached a certain degree they would achieve Mystical Powers, and once they had reached the Eight and final degree they were told that they had achieved "Perfection", very similar to the Gnostic and Babylonian doctrines of Illuminism. The Rawshaniyya did not disappear until the 18th century oddly enough before the inauguration of the Bavarian order of the Illuminati. In 1773 Pope Clement XIV Supressed the Jesuit Order because the Monarchs of Europe wanted to gain control of Revenues and Trade that the Jesuit Order had control of (very similar to when the French king had the Knight Templars Executed during the Inquisition when he wanted their money) and Pope Clement XIV gave in to the pressure of the European Monarchs for Political reasons which would later on cost him his life. A young Professor Of Law at the Jesuit Controlled University of Ingolstadt in Bavaria, Present day Germany named Adam Weishaupt joined the Jesuit Order when the Jesuits where supressed. By 1776 Weishaupt founded the Bavarian Illuminati modeled after the Jesuit Order. Weishaupt founded the Bavarian Illuminati with the purpose of establishing a One World Government through Science, Technology and Economics, and developed a Secret Cell Model where initiates of his order reported to a Superior who they did not know, this "Perfect Terrorist Cell" saved many Jesuits from being found and killed. Eventually Weishaupt´s writings where intercepted and interpreted by the government of Bavaria and his order was banned and Weishaupt was forced to flee to Gotha under the protection of his sympathyzer, Duke Ernest II. The purposes of Adam Weishaupt´s Jesuit Controlled Bavarian Illuminati where to Re-establish the Jesuit Order´s financial interests, Remain secret to ensure the Vatican and the European powers could never seize the Jesuit Order´s Financial Assets, Use its Network and Power to exact revenge on the European Nobles of France, Spain, Portugal, Parma, Naples and Austria who forced the Suppression of the Jesuit Order, And subvert the English Masonic movement and prevent its spread of "Secular Constitutional Democracy" (such as in the USA) in revenge for taking over its Profitable Business Interests in Asia (East India Company), And Finally to undertake actions to force the Pope and the Vatican to re-establish the Jesuit Order and to never again force its Supression. Weishaupt´s Illuminati Secret Cell was also used to great effect to plan the French Revolution years later, which led to the rise and fall of Napoleon Bonaparte. 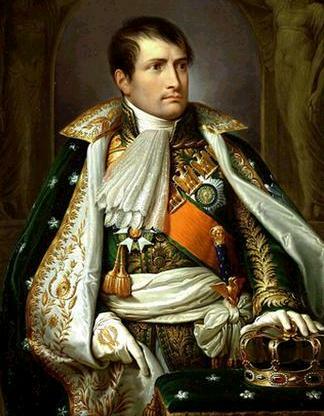 After the Napoleonic Wars in 1814 the Monarchs who called for the Supression of the Jesuit Order where no longer in power and the whole Political Climate in Europe changed with the Congress of Vienna (Treaty of European Powers) while Napoleon a mere tool of the Jesuits and the Bavarian Illuminati was in Exhile. Pope Pius VII issued an order to restore the Jesuit Order in the Catholic countries of Europe, yet the Jesuit Order in its first General Congregation made a decision to keep the Jesuit Order the way it had been before the Suppression of 1773, and thus the Jesuit Order with the help of Adam Weishaupt founder of the Bavarian Illuminati restored the Jesuit Order back into the "Good Graces" of the Vatican and the European Monarchies. "The Jesuits are a military organization, not a religious order. Their chief is a general of an army, not the mere father abbot of a monastery. And the aim of this organization is POWER. Power in its most despotic exercise. Absolute power, universal power, power to control the world by the volition of a single man...The General of the Jesuits insists on being master, sovereign, over the sovereign. Wherever the Jesuits are admitted they will be masters, cost what it may... Every act, every crime, however atrocious, is a meritorious work, if committed for the interest of the Society of the Jesuits, or by the order of the general." (When a Jesuit of the minor rank is to be elevated to command, he is conducted into the Chapel of the Convent of the Order, where there are only three others present, the principal or Superior standing in front of the altar. On either side stands a monk, one of whom holds a banner of yellow and white, which are the Papal colours, and the other a black banner with a dagger and red cross above a skull and crossbones, with the word INRI, and below them the words IUSTUM NECAR REGES IMPIUS. The meaning of which is: It is just to exterminate or annihilate impious or heretical Kings, Governments, or Rulers. As we can see by this oath, the Jesuits will stop at nothing to achieve their agenda which is World Hegemony, their Gnostic and Babylonian Origins in Los Alumbrados further proves they follow a Luciferian Doctrine and their union with the Vatican (who is Mystery Babylon and the Harlot dressed in Scarlet and Purple which are colors of Authority in the Catholic Church, and is the revived Roman Empire) has created a force which seeks to dominate mankind and institute the False Messiah through Globalization and initiate an Inquisition of People who do not want to accept their New Age Gnostic and Hermeticist Religion (which the Jesuit Order and the Vatican have their origins from) or it´s False Messiah. We must wake up and realize who the real enemy is, so that when the time comes we do not let them fool us and manipulate us to mark us for damnation. "That we may be altogether of the same mind and in conformity[...], if [the Church] shall have defined anything to be black which to our eyes appears to be white, we ought in like manner to pronounce it to be black..: I will believe that the white that I see is black if the hierarchical Church so defines it."